If you hadn't read the exact words of Michael Chertoff, Secretary of the Department of Homeland Security, you wouldn't have believed it. The DHS, charged with protecting America from terror, is proposing a massive several billion dollar program to fingerprint every foreign visitor to the United States on their departure from our country. And you heard that right: "upon their departure"! The program is known as 'US-VISIT air exit.' It is not certain what its exact practical effect is supposed to be. Some members of the Administration have thrown about the words "overstaying their visas" to indicate that a possible objective is to catch illegal immigrants. Yet all this is being done when they leave our country rather than enter it. The airlines are up in arms about this, claiming not only the heavy cost of this program, but serious delays at airports, as long lines of home-bound foreigners wait to hand over their prints. 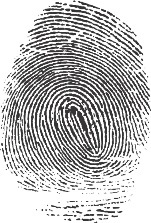 It's possible that a particular individual could be exposed by his post-stay fingerprints. But what is stopping any terrorist from getting a visa and both enter and leave our country without anyone learning about his intentions because of a fingerprint program upon leaving the U.S.A? Weigh that slight benefit against the dismay and outrage felt by legitimate foreign tourists and business visitors to the United States who are made to stand in line and be fingerprinted like criminals when they leave the country. Last updated by jack on 25 April, 2008 in Travel.